Are you at risk? The answer is YES! Homes burn homes. After evacuation and emergency preparedness, your top priority is to harden your home. If your community is on the 2008 list below, you are probably at greater risk than those in less wildfire prone neighborhoods. 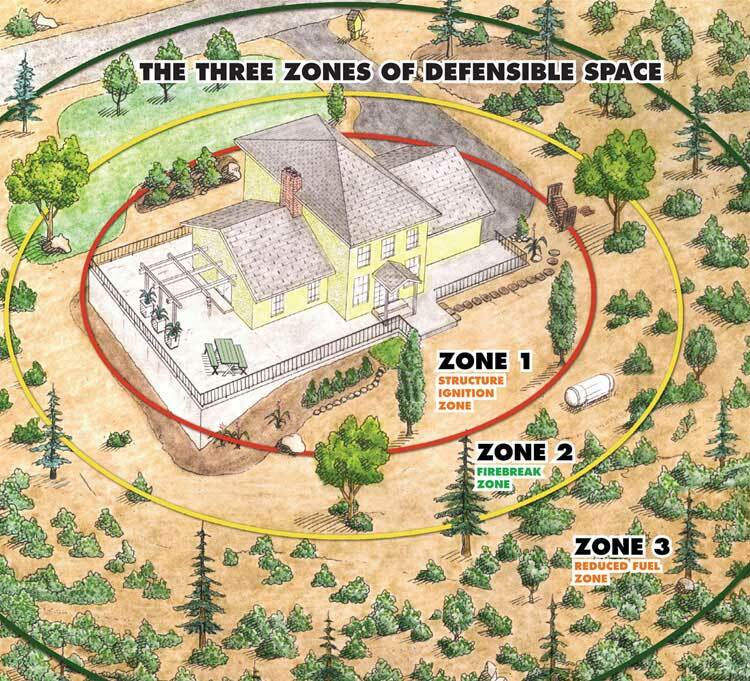 However, especially for those living in the Wildland Urban Interface (WUI), hardening your home is always a great objective in any case. To a wildfire your home is fuel. There are numerous ways to reduce your home’s flammability with little things, like cleaning gutters, for example. If you are on the list of the Communities-at-Risk according to the 2008 Madera County Community Wildfire Protection Plan, you are at risk for wildfire. If you live in the Wildland Urban Interface, you are at risk for wildfire. Suffice to say that this list is just a guideline and does not cover everyone. Nor should the order of the communities be taken as more than a guideline. Catastrophe can strike anywhere. If you find that your community is at-risk and would like a presentation nearby, or just want to learn more whether or not your community is listed, you are not alone. REMEMBER: The Firewise Communities goal is helping folks take responsibility by taking action to protect their lives and property.